The European Space Agency (ESA) is organizing the 3rd consultation meeting of EO Open Science in ESRIN (Frascati, Italy) on 25–28 September 2017 to explore new challenges and opportunities for EO research created by the rapid advances in Information and Communications Technologies (ICT). 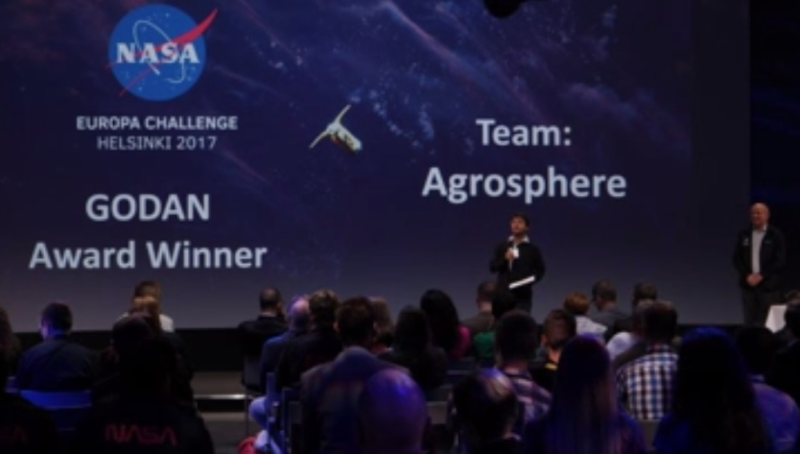 This includes open tools and software, data-intensive science, virtual research environment, citizen science and crowdsourcing, advanced visualization, e-learning and education of the new generation of EO and Data scientists. 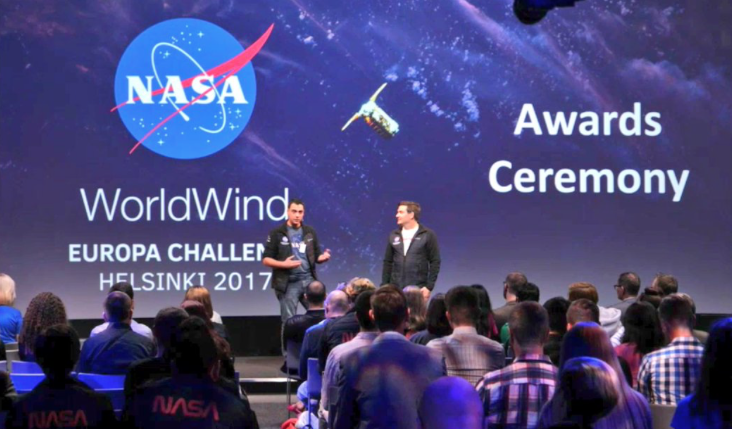 The conference will present activities in EO Open Science and Innovation and develop a Roadmap for future ESA exploitation activities under the EO Science for society programme. As some of us learned at the International Cartographic Conference 2017, there is an interesting open source application that could be more widely known to those of us in our domain. That application is Nunaliit. Please check it out at http://nunaliit.org. The developers at Carleton University, Canada, welcome your feedback. Please take a little bit of time to learn about it, use it, and, possibly, join their community. In addition, they always welcome pull requests to fix bugs or add features. Again, information about Nunaliit can be found at http://nunaliit.org and the source is currently hosted at https://github.com/GCRC/nunaliit. If you would like more information, please contact him. Research Data Alliance (RDA) https://www.rd-alliance.org is a global community-driven organisation launched and supported by the European Commission together with partners from other regions of the world. RDA has the goal of building the social and technical infrastructure to enable open sharing of research data across geographical boundaries and disciplines. The RDA Plenaries are working meetings held every six months in different places around the world focused on helping move the community forward in creating tangible deliverables that improve data sharing across disciplines, technologies, and countries. I look forward to welcome you all for productive discussions and actions for keep us building the global research agenda for Geospatial Data Science. It is my great pleasure to introduce Bridget Fleming from South Africa as our GeoAmbassador. 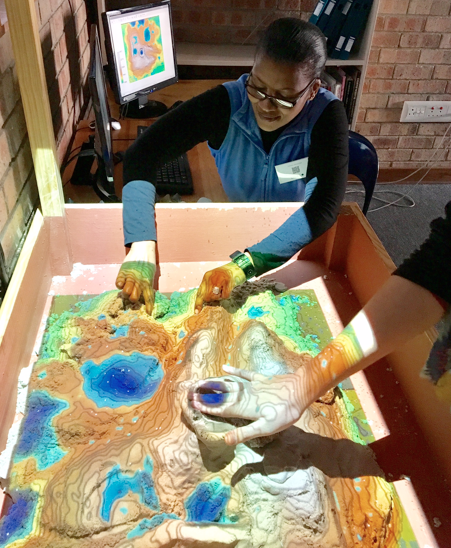 Bridget Fleming is the regional chair of GeoForAll Africa (along with Serena Coetzee and Rania Elsayed ) and has been actively expanding geoeducation opportunities for all. Bridget is a passionate advocate for using Geotechnologies in the classroom. She is the IEB (Independent Examination Board) geography national moderator and has authored a number of textbooks and digital classroom resources. She has recently returned to the classroom after a few years of running a start-up GIS company where she was involved in Geospatial education and training. She is on the National GISSA council (Education portfolio) and is the Chair of the Southern African Geography Teachers’ Association (SAGTA). She is presently HOD Geography at St John’s College in South Africa. Bridget is also one of the key organisors behind the success of the recent SAGTA+FOSS4G Africa conference hosted by St John’s College in Houghton, Johannesburg.. Bridget kindly send me the summary and photos which I have included below to give the bigger idea of the amazing work that she and colleagues are doing. 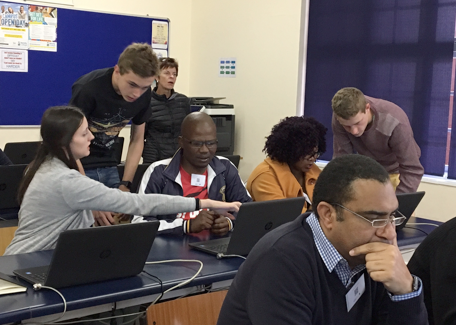 From 26-30 June 2017 for the SAGTA, OSGeo Africa and the QGIS South Africa User Group held the FOSS4G Africa 2017 conference at the school, hosted by the geography department. 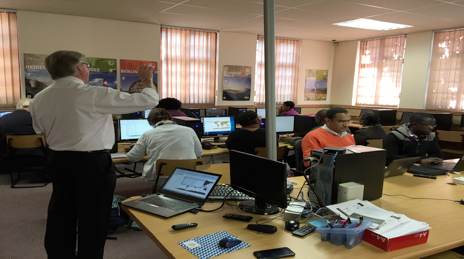 GIS is a burgeoning industry and is part of the school curriculum in South Africa. However, many schools do not have the facilities to teach it and most teachers don’t have the training. 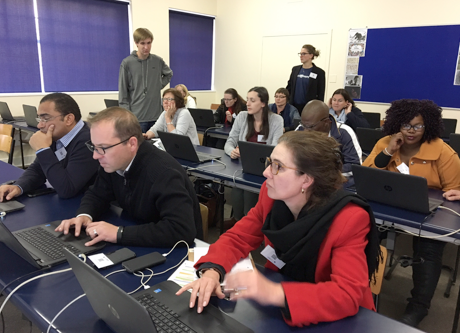 The first two days of the conference saw forty plus geography teachers and academics gather to address these issues, share their insights and get some hands-on training. GIS is a small component of the curriculum yet its greatest impact is through using it to teach geography and other subjects. It can play a major role in improving spatial literacy in learners. Highlights included talks and a workshop by Malcolm McInerney, the Australian keynote speaker, demonstrations of the tangible landscape in Mrs Jones’ geography classroom and hands-on QGIS workshops. 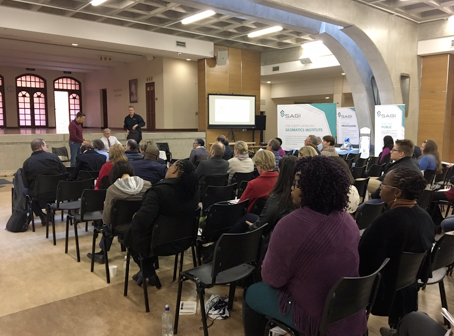 On the Tuesday, SASDI (South African Spatial Data Infrastructure) held a successful workshop for fifty GIS professionals, academics and government officials in the Jeffrey auditorium. 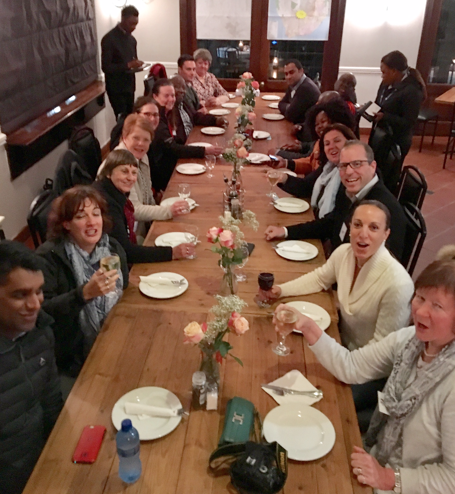 On the Wednesday, another thirty members of the GIS industry arrived for their three day technical conference, along with seventy members of GIS Society of South Africa (GISSA) for their quarterly general meeting. This was the big day of the conference, intended as an overlap between education and industry. Amongst several excellent education-related and technical GIS presentations, were two panel discussions. In one, educators discussed their requirements and how industry could help. In the other, industry discussed career paths and the skills required from the education system. 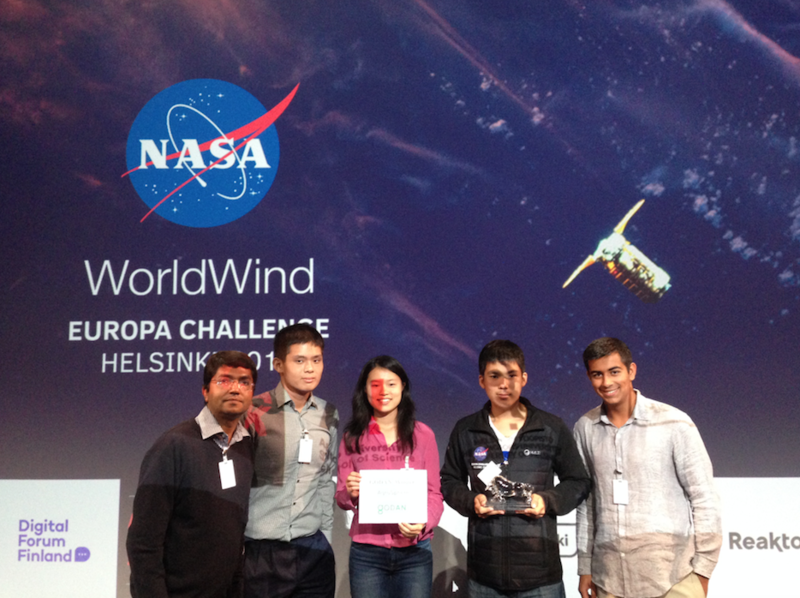 The Thursday and Friday saw some technical presentations and six four-hour hands-on workshops. Some adventurous teachers from Mthatha stayed on for this part of the conference! The guest speaker was Stephen Mather from Cleveland, Ohio, who started the OpenDroneMap (ODM) project. Besides the keynote, he presented a workshop on ODM where the class learnt how to process images from drones. I am sure Bridget and colleagues will expand these ideas for the future. 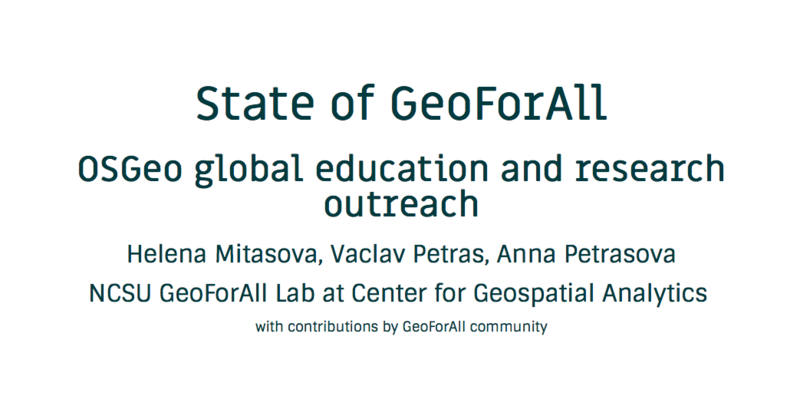 We are looking forward to building strong research and teaching collaborations worldwide in Open Geospatial Science. 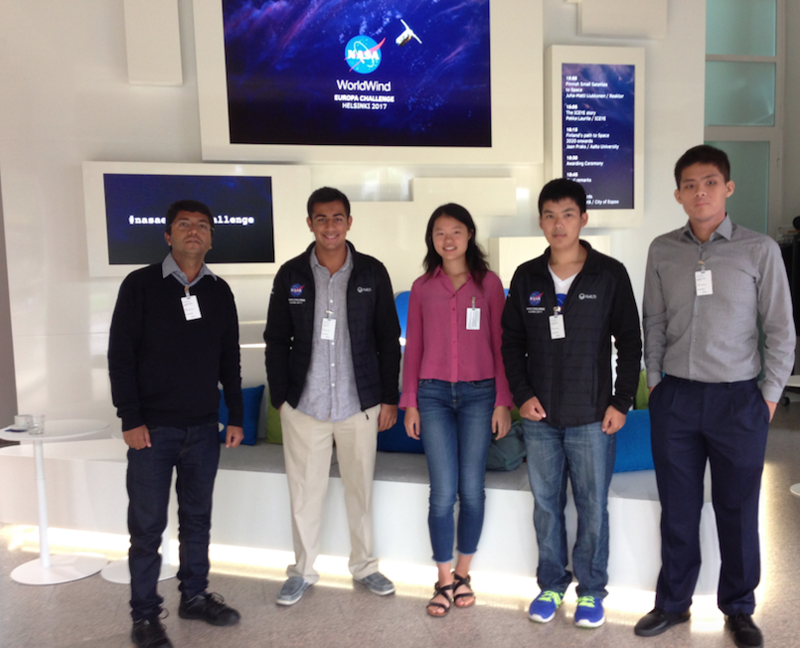 We are proud to honour Bridget as our GeoAmbassador and we are extremely grateful for her contributions to GeoForAll.